The beginning of the Modern Yoga Period, which coincides with the movement of yogic concepts to the West in a powerful wave, is usually traced back to Sept 11, 1893 when Swami Vivekananda made his historic address to the World Parliament of Religions in Chicago, USA. In tracing the history of modern yoga, we can see major 'waves' which can be divided into three distinct periods (1893–1920; 1920–1960; 1960–present), including several prominent world teachers who arose during each. This first wave of Modern yoga saw several Indian gurus enter the world stage. Those such as Sri Ramakrishna, and his disciple Swami Vivekananda, and others like Ramana Maharishi from the famed Arunachala in Tiruvannamalai, were very much in the advaitic (non-dualistic) vedanta tradition. 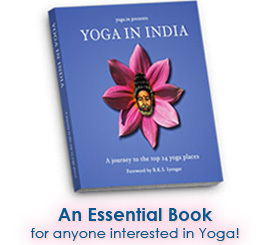 They did not put much, if any emphasis on asana, pranayama or other physical yogic practices. During this period, some prominent masters in the Bengali Tantric tradition (where certain esoteric practices of kundalini arousal were emphasized, which also included certain asanas and pranayamas) also emerged -- such as Lahiri Mahasaya, Swami Yukteshwar and Swami Kanakananda -- who would all later become known though the prominence of their own disciples who took their messages to the West in the ensuing decades too. The second wave of modern yoga masters was heavily dominated by English-speaking, British-educated Indians who were also predominately advaitic vedantists. Of prominent note is Swami Sivananda of Rishikesh, whose followers set up yoga vedanta centres in nearly every country around the world. Swami Sivananda was primarily a vedantist though, and did not himself practice much of hatha yoga; but when adepts of these physical practices came to his Divine Life Society headquarters in Rishikesh, he had them teach his young disciples the art of asanas and pranayama. This timeframe also saw the recognition of fellow jnana yogi Sri Aurobindo of Pondicherry, a reclusive scholar who produced insightful commentary on the traditional Sanskrit texts and crafted the path known as Integral Yoga. Jiddhu Krishnamurthy was yet another who discarded all traditions and physical practices, professing to delve deep within the 'Self' to find ultimate truth. This period also saw the emergence of a new class of yogis, though, who endeavoured to bring yoga into 'practical use' for the modern society at large. Swami Kuvalayananda of Lonavla, India emphasized modern scientific validation for the ancient yogic practices of asanas, pranayama, kriyas and shat karmas. He also embarked on scholarly academic analysis of the ancient Sanskrit literature. His contemporary, Sri Yogendra, who was known as the 'householder yogi', aimed to make the concepts, practices and techniques of yoga available to all, especially to ordinary family people. He felt yoga could be used to create a better lifestyle. Yogic attitudes, simple asanas, pranayama, relaxation and health oriented techniques were systematically devised to help people solve the problems of daily living. Another, who perhaps ultimately has had the most influence on today's Western yoga culture, again, through his students who went westward, was Sri T. Krishnamacharya. Krishnamacharya was a Sanskrit scholar and yoga tutor in the palace of the Maharaj of Mysore, and in general, led a relatively unknown life. He developed a unique approach to yoga asana, which was probably a synthesis of his yogic knowledge and the Indian wrestling exercises patronized by the Maharaj, as well as the exercises introduced by English acrobats who were invited by the Maharaj to his palace. His very vigorous, athletic, acrobatic approach to yoga asanas was attractive, especially to Westerners and those who enjoyed physical challenges. His fame came only after B.K.S. Iyengar, his student, achieved world renown. Dr. Swami Gitananda Giri propagated his guru’s (Sri Swami Kanakananda) system of Bengali tantra with an elaborate system of asanas, kriyas, mudras, pranayamas and concentration and meditation techniques. 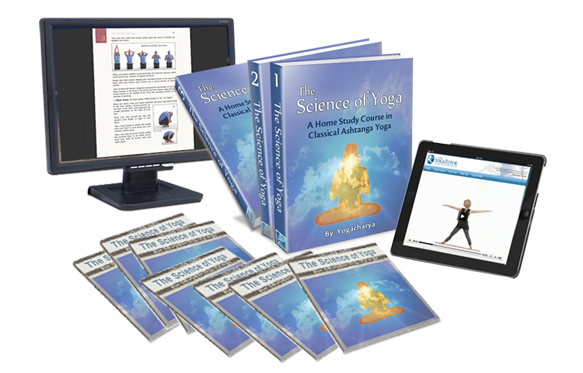 This system was set within the structure of Patanjali’s ashtanga yoga (8-limbed yoga).